When a family member dies, kids react differently than grown-ups. And, many children with Asperger’s (AS) and High-Functioning Autism (HFA) react differently than “typical” children (e.g., they may see death as temporary and reversible, a belief reinforced by cartoon characters who die and come to life again). Adding to the youngster's shock and confusion at the death of a mother or father during time of war is the unavailability of other family members who may be so shaken by grief that they are unable to cope with the normal responsibility of tending to their “special needs” child. The surviving parent should be aware of normal childhood responses to a death in the family, as well as signs when a youngster is having difficulty coping with grief. Kids on the autism spectrum may express their grief and feelings differently, but their grief is still just as powerful. 1. 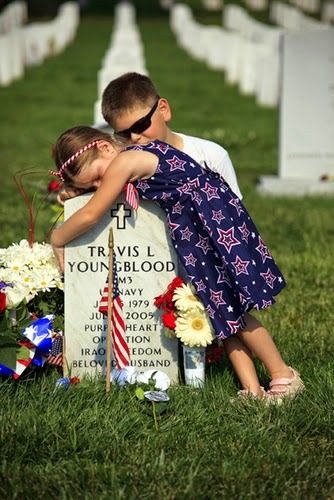 A youngster who is frightened about attending a Memorial Day service or visiting the gravesite should not be forced to go. But, honoring or remembering the deceased parent in some way (e.g., telling a story, saying a prayer, reviewing photographs, making a scrapbook, lighting a candle, etc.) may be helpful. “Special needs” kids should be allowed to express feelings about their loss and grief in their own unique way – no matter how odd it may seem to others. 2. After a parent dies, some kids will act younger than they are. The youngster may temporarily become more babyish (e.g., demanding attention, talking baby talk, having bowl-movements in places other than the toilet, etc.). This is normal and usually temporary. 3. Avoid too much change at this confusing and distressing time. 4. Balance how much information is given regarding the parent’s death. Too much or too little information may make it difficult for the child to voice concerns or ask the right questions. 5. Be advised that the child’s anger is often directed at the surviving parent who shared the news of the death. Anger may also be apparent when activities that were previously provided by the deceased parent are no longer available. 6. Be open and honest. Use appropriate words such as “dead” and “death,” and avoid euphemisms. 7. Be patient, because the same questions may be asked over and over again. 8. Be prepared for the possibility that the grieving process of children on the autism spectrum may be profoundly affected by their disorder. 9. Continue routines, keep decision-making to a minimum, and encourage connections with friends, classmates, and other family members. 10. Discuss with your youngster that, with the grieving process, it is common to get headaches, feel numb, ask many questions, worry, blame oneself, etc. Also, remind your child that he or she needs social support and help, someone to talk to and a place to remember. 11. Don’t exclude your youngster from helpful rituals of death, which will help him or her understand someone important in his or her life has died. Kids on the autism spectrum need more concrete rituals, explicit directions, and simplified activities. 12. During the weeks following the death, it is normal for some kids to persist in the belief that their parent is still alive. But, long-term denial of the death can be emotionally unhealthy and can later lead to severe behavioral problems. 13. Each child with AS or HFA will react individually to bereavement, so the approach to support needs to be as unique as the child. 14. Encourage the grieving youngster to wear an article of clothing that may be a linking or comfort object to the parent who is gone. Having a pillow or blanket made from the deceased parent’s clothes may help too. 15. Encourage your youngster to keep a “feelings diary” to help deal with all of his or her emotions. 16. Help your child create a grief vocabulary (e.g., sorrow, sadness, heartache, etc.). Children who lack a grief vocabulary to talk about emotions tend to express their feelings through their behavior. 17. If possible, allow your youngster to say goodbye and see the body of the parent who died. Research shows that when kids see the body, they show less behavioral acting-out in the future. 18. Light a candle on special days (e.g., Christmas) and share memories. 19. Listen to the deceased parent’s favorite music. 20. Look together at photographs of the parent who has died and share memories. 21. Make a book about the parent who died. 22. Make a memory box, and allow your youngster to choose what memories go inside. 23. Once kids accept the death of a parent, they are likely to display feelings of sadness on-and-off over a long period of time (often at unexpected moments). The surviving parent should spend as much time as possible with the youngster, making it clear that he or she has permission to show emotions openly and freely. 24. Remember that some AS and HFA children won’t react to the parent’s death at first – or may react in a way that is different than you might expect. 25. Remember that most children on the autism spectrum tend to have a very limited number of close friends. Thus, experience of the death of a parent can feel like a catastrophic loss, and the idea of re-investing in other people is very difficult. 26. Remember that returning to school after a loss can be very stressful. Some kids worry about their surviving parent at home alone. 28. The parent who has died was essential to the stability of your youngster's world, thus anger is a natural reaction. The anger may be revealed in a variety of ways (e.g., nightmares, aggressive play, bad temper, meltdowns, shutdowns, etc.). Often the youngster will show anger towards the surviving parent. 29. There is no way to generalize how each “special needs” youngster will experience loss through death, but such a loss can give rise to resistance to change, phobias, obsessions, lack of understanding and fears, which can be considered by others to be inappropriate reactions. Kids on the autism spectrum depend on the security of familiarity. They often have difficulty finding words to express their feelings, which is why goodbye rituals are so important. 30. Try to anticipate your child’s reactions, listen and read cues, intervene, ask how he or she feels, talk about the deceased parent, and explain the normal grieving process. You will know when your “special needs” child is having serious problems with grief and loss because he or she will demonstrate a variety of behavioral symptoms that are very noticeable (e.g., withdrawal from friends, sharp drop in school performance, refusal to attend school, repeated statements of wanting to join his or her deceased parent “in heaven”, inability to sleep, loss of appetite, prolonged fear of being alone, excessively imitating the deceased parent, depression, loss of interest in daily activities and events, and acting much younger for an extended period). If the signs listed above persist, professional help is needed. A qualified mental health professional can help your youngster accept the death of a parent – and can assist you in helping your youngster through the mourning process. Thank you so very much Mark. Your book and suggestions have been the most clear, direct, and explanatory advice than all his doctors, therapists, and five week CBT school combined. I will definitely recommend your Ebook to others who I know are having similar problems. I realize from your book that you hear this all the time, but my sister has been told so many different things from different therapists and it is all true, but not one of them explained the connection of all of it. And for sure, not one of them has taught her the step by step methods how to adjust their home life to make it work. You've been able to provide us in two hours of reading what others could not provide in three years. My husband is 81 and I am 77 and after well over 50 years of marriage, we figured out that he is a high functioning Aspergers. 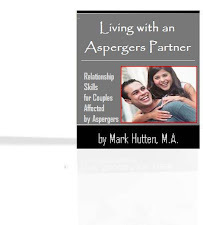 He is interested in understanding how Aspergers affects his life and relationships. We have exhausted all avenues to locate a counselor who specialize in working with adults identified late in life. I just found out my 18 year old daughter has Aspergers, Autism spectrum. She's had bulimia since 6th grade, IBS since 10th grade. We have been through 2 extensive treatment centers and many many counselors and professionals. Now she is almost out of school we finally get a most accurate diagnosis. I am a mental health provider and even I missed it, and I feel terrible. I've never worked with Aspergers or Autism. I don't know where to go and what I need to learn. I learn best by watching and I saw your introduction video. Do you have others? I will purchase your ebook, I wish I could get it on my kindle. This week we met a Dr. Marshack who has written a couple of books but she is not in our insurance network and I do not have a supportive ex-husband who denies Malea has Aspergers. Malea really connected with Dr. Marshack so it is a shame we can't work with her. She has fired most of her counselors or bad talks them. Mostly Mark, Malea has suffered so very much. She's been bullied at school, doesn't even want to go, and the school says because she is so smart she should know better as if it is her fault. Her anxiety is unbearable at times. And yes, she is on numerous medications. If you can offer suggestions I would be so grateful. We live 2 hours away from Portland Oregon in a small town called Manzanita. I found your youtube video when I went searching for help for parters of Adults with Aspergers. I will try to be brief. My husband said he has been diagnosed with Aspergers, we recently separated and he has discovered this after being out of the house for a couple of months. He is 52 and I am 48 we have been married for 27 years. He has been in a relationship with another woman, I found out about the infidelity and put him out of the house. He has done this before, and I am sick of it, and ready to move on. He then comes to me and says he has been diagnosed with "Aspergers" and that is what is wrong with him however, I am very very skeptical. And my husband may have two, problems with social skills, and being skilled and talented, but he seems to have no problem being unfaithful in our marriage. I need to know before I order your e- book, do Adults with Aspergers, have problems telling the truth, lying, cheating and not giving any consideration to they hurt other people? He is a good guy, and before the infidelity, I could handle just about anything with him. But the unfaithfulness is too much. I am writing and asking you for help. I am trying to learn what I did wrong or what I can do to help save my marriage. HI. I am helping my friend, a single mother, search for resources on how to meet the increasing needs of her 14 year old 8th grade son. I found your talk to download on the web in my search and we will listen to it. What we are searching for right now is someone to help us assess the behaviors that Jay is having and what to do next. Diagnosed with Apergers, he has become increasingly more difficult including oppositional to his mother, unwilling to comply to any home rules, sharing thoughts of harming others and himself, constant badgering of his mother etc. He was not successful in school and is enrolled in an at home school program this year and doing quite good. That is the only area he is doing well in. This mother needs help to figure out if he needs a placement outside the home. He will not go to therapy. Might you have any ideas? resources for us? How should teachers respond when my Aspie is rude and disrespectful in class? thank you for welcoming me to the group. My name is Sandra and we live in Ireland. We have a beautiful little boy Luke who is 5. He is loveable and affectionate. He has a great character and laugh. He was diagnosed last June with Aspergers, ODD, ADHD and is a flight risk. He is in mainstream school in Junior infants. It is an Irish speaking school. The school facilities are great, with a quiet room, sensory garden etc. Luke has resource hours at school and a support teacher, which he now needs constantly. Over the last while he has become very aggressive towards everyone for little or no apparent reason. I'm not sure if it has become a "bad" behaviour when he is told "no" or it's linked to his diagnosis. Either way we and the school need help. Here is an example of this behaviour, he was playing with marbles at school and the teacher asked him to tidy they up (poss 200 marbles) and this was fine. Then she asked him to put some in another box to give to another class. He went crazy. He attacked the teacher who is in the early stages of pregnancy, he tried biting her and then pulled on her breast. The support teacher had just popped out and had to be called back. Luke was taken to the quiet room to calm down. Later he showed no remorse. Both he and the teacher had to go home. We were on vacation last week and the only way to get him out of the pool was to take his armbands off. However the fight and temper he put up was upsetting for him and us as a family. The need to lash out and hurt is frightening. We find ourselves more and more having to pull him off us and try to restrain him from hurting us. Luke is only 5, he is as tall as a 7 year old and is very strong. We worry for our safety and that of the children and teachers in the school. Can you please suggest or advise me on how best to help our gorgeous little boy. I love your book and it makes so much sense! By the way, I'm just a very involved auntie of a 15 year old School Refusal kid. Loving child but argues like you describe only too well. Is it safe to begin these methods if a child has NOT been officially diagnosed with Aspergers? Is it safe to use these methods if their therapist is treating them for depression? If school refusal is the only main ongoing argument and the teen is perhaps 'overwhelmed' from the Aspergers (stomach pains, non-witnessed throwing up, arguing, tantrums, etc.) but a comfortable setting has NOT been arranged yet for the child at school- does a parent still make consequences for that child if they do not go? Or does the parent wait (on just this topic or all topics) to start the new methods until arrangements have been made? And lastly, just to be sure, if the Aspergers child ONLY polarizing interests are video games and Legos, (which I remember you saying video games are not good for them) do you still take away their only favorite interests that they claim is their calming 'escape' as a consequence? Thank you for your time and thank you for sharing your knowledge to help others. I am a new foster parent, single, and having difficulty dealing with my first placement: a 14 year old boy with ODD, ADHD, Anxiety, suspected FASD, etc. Suffice it to say, that while I knew becoming a foster parent would be a challenge for me, I was woefully unprepared for what I am now faced with. He has been living with me now for 9 months, and things seem to be getting steadily worse. I will admit that I started out on the permissive (what you would call "over-indulgent") end of the parenting spectrum. 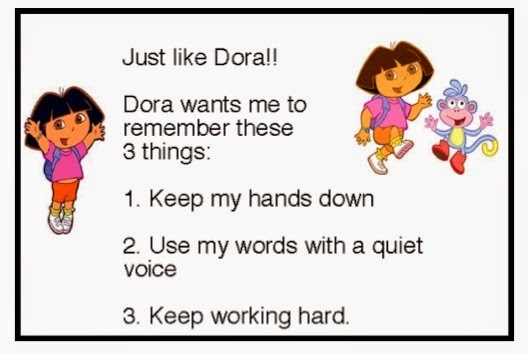 I have been trying to get better, but I am not naturally a dominant ("assertive") person. Cooperation and humility have always been my strongest virtues, and I abhor conflict and confrontation. That said, this teenager really knows how to get me riled up. I have never had a short temper, but I find myself having to deal with controlling more anger (and more frequent anger) in myself, more than at any time in my life before. I have asked "the system" for help in dealing with him; the best they could do is sign us up for professional counselling, but they could not get us in for our first appointment until 2+ months after I asked for help. The first session is still 2 weeks away. I have been going through your "My Out-of-Control-Teen" e-book, and trying to implement the strategies therein. I have run into a couple of snags. 1. You recommend a time-out when a situation is getting heated. This lines up perfectly with my own strategies for dealing with anger. This doesn't work with this foster child. When I ask him to take a time-out so we can calm down (it doesn't matter whether it's me or him (or both) who is angry and needs to calm down)… it is like pouring gasoline on a fire. His anger instantly ramps up dramatically. If I try to walk away, he follows me. If I try to close and lock a door between us, he literally tries to break it down. When he gets into these rages, nothing I say or do calms him down. If I try to talk to him, he doesn't like what I say and gets more angry. If I refuse to talk to him, he gets angry at me for not talking to him. If I try repeating something like, "I'm not going to argue with you," in a calm voice, he ratchets up his anger a notch every time I say it. Consequences are also fuel for the fire. Giving a consequence often derails his arguments, but now he is angry and arguing about the consequence, and claims he will not calm down until I retract the consequence (I don't, by the way). 2. You talk about keeping a poker face and hiding my own anger. I am getting better at this, but there is a problem. This teenager has been evaluated by professionals that suggest he is unable to determine a person's emotional state from their tone of voice. I have witnessed this myself, and I might even guess that he has the same difficulty with facial expressions. As a result, I feel he has taken to trying to guess people's emotions based on context alone. He already knows the types of things that make me angry, and so, as a bizarre side-effect of his disability, he is able to "see right through" my poker face no matter how good it is. He is able to (correctly) guess my anger. I can't bring myself to lie to him and tell him I am not angry, so the whole exercise is moot. 3. This teen has a learning disability that makes it difficult for him to understand verbal communication, both written and spoken, and a similar difficulty in making himself understood. He is good enough at faking it that it is not always obvious when a miscommunication has occurred. When miscommunications do occur (and this is a daily occurrence), he becomes frustrated and angry. In true ODD fashion, he tries to blame everyone but himself for the miscommunication. In those rare instances when he admits culpability, he is so down on himself that he wants to give up, and is not interested in trying to repair the situation. I try to steer miscommunication conversations away from the "blame game," but he is very stubborn about needing to assign blame (as he is with most situations). So we often find ourselves in "meta-arguments", where he accuses me of "changing the deal", breaking promises, or not being consistent, when in fact I have done the opposite. We could write out contracts for some things, but I fear our relationship becoming overly litigious -- do I have to write up a contract when I ask him to clear the table after breakfast or pick up his socks? 4. The last thing I have trouble with is avoiding arguments. How do I draw the line between a discussion and an argument? I can certainly tell the difference between a cordial discussion and an angry argument, but when and how do I draw the line when a discussion gradually becomes an argument? As angry as he gets when we argue about something, any attempt by me to shut down the argument results in more anger from him, and a stubborn refusal to stop. He accuses me of "running away from our problems" and of "not talking to him" or "not listening to him." I recognize these as guilt trips, but I honestly don't know how to deal with his escalating anger. I often find myself answering his questions, even when we're both angry, because I know refusing will make things worse. His temper tantrums / rages are quite troubling. They have bordered on violent a couple of times already, and I fear he may hurt himself or others (or me). Just the other day he broke his own hand while punching the couch. While I'm very glad he wasn't punching ME, I wonder how close he was to doing so. He confessed later that he was thinking about it and restrained himself. This was one of those times when I was talking to him, trying to get him to calm down, but everything I said or did (or didn't do) only made him more angry. I have involved his caseworker and my support worker every step of the way, but they seem as baffled as I am. I know it's difficult to give advice based on a few short paragraphs (okay, okay, this email is quite long by now), but anything you can think of would be valuable to us. After the broken hand, the caseworker told him that another serious incident of misbehaviour from him could result in him moving out, and he does NOT want that. I believe he lives in fear every day of getting kicked out, since it has happened so many times before. Hi Mark, I am reading your site and amazed at all the positive responses! I just want to make sure that your ebook is the best choice for me, a single mom with one adopted son 14 who is out of control, angry, anxious, oppositional, depressed, (critically low seratonin) sensory issues up the wazoo! and super disrespectful, verbally abusive. He did get on the honor roll this quarter at his online school and does apologize fairly often and says he loves me when he isn’t doing all the other stuff. our stuff, mostly through me regaining my authority or having it for the first time! I know I can learn to be a more effective and consistent parent but wow, is this a workout! I am 57 and really doing my best to keep it all together. Please let me know if there is something else you would recommend instead of this if so, otherwise I will get it! I already purchased your audio talk. I have started to use a few phrases and notice my son paying attention a little bit…! thank you for being available like this, AMAZING!!!! I have just had my 11 year old son diagnosed with high functioning Asperger's. Which was a relief in so many ways as things now make more sense. The more I read the more I learn which in turn helps me understand why he does things and how I should react. I was reacting in a fashion that eroded his self esteem and self confidence. I watched you on your you tube video about how we teach our children manners and it resonated with me. I would like to read your ebook on Teaching Social skills but would prefer to down load it to my ipad so I utilize it all the time and refer to it. Is it possible? Hi Mark! WOW you are real!!! Thank you so much for being there/here! I will purchase ebook tonight and begin. I have nixed the wilderness therapy for so many reasons and don't imagine that always being fun either....as I am concerned about further emotional scarring that may happen from just getting him there and due to loss of trust in me and his holding a lifelong grudge (he is a serious grudge holder) over me sending him in the first place. I do want to send him to a 7-12 day sports camp in our state of Colorado at end of July that is specifically for kids on the spectrum, to build confidence etc 1:1 counselor/camper ratio! He has never gone more than 2 nights. It's telling him/getting him there (family have offered) that's the hard part. He will likely say " i will kill myself if you send me" etc... if I tell him long before and this could put him over the edge but I really feel strongly about this particular camp. If I tell him the morning of, before family comes to take him, it's like an intervention, like what they do at Wilderness therapy programs and the like....again, he may hold a grudge for a long time and verbally abuse me continuously? who knows? Thanks for listening, I will work your program and find the best solution to this. I can also ask other parents once I get on the chat....I have never done that either. I enjoy reading your newsletters and wondered if you have any experience or advice with "food texture issues" for a now almost 19 year old high functioning Aspergers teen. All of her life she was a pretty skinny kid and although she ate healthy food and a pretty wide variety (considering the sensory limits), there was a major limiting factor of "texture" (not taste or flavor) of many fruits and vegetables. Now on her own as a college freshman, she succumbed to the predictable "freshman 15...plus probably another 20lbs on top of that" due to food issues and eating mostly carbs, processed foods and easy to eat stuff (pizza, pasta, smoothe yogurt and sugary drinks). There are only a few vegetables she can tolerate (canned asparagus, canned green beans, steamed broccoli, uncooked carrots) and only one fruit (apples with the skin peeled off). She has now been diagnosed with polycystic ovarian syndrome (PCOS) which has caused the weight gain from eating primarily foods that turn to sugar and upset the hormone balance. A very unfortunate vicious cycle. She is willing to change her diet, and is beginning to avoid the foods that are not healthy for her, but my concern is that it is time to work on overcoming some of the texture issues so that she can actually eat a wider variety of vegetables and fruits routinely without "gagging" or feeling like she might gag. Have you had any experience with effective ways to work with these issues? I have been in touch with an occupational therapist who specifically works with "food aversions" and I am hoping that my daughter will be on board to go that route...but it never hurts to see if others have had success with other methods. My daughter is motivated and has worked hard to overcome so many of the challenges she has faced in light of her sensory issues. I would love to see the confidence she has developed continue and this is one more area that is wide open for her to improve her overall health. I'm really starting to worry as gcse are fast approaching and he cannot sit in an exam doing this he will fail. I want to learn more about your life coaching service. Also would you please give me an idea of the cost of the coaching. Our son is 20 years old and has been diagnosed with a mild case of Aspergers. It may be mild in medical terms but is certainly has made a big difference in our son's way of thinking. Through the years James would not continue taking his medication from psychiatrists because he did not like the the side effects. He recently got his medical marijuana card so has been using that. So far, I see he is calmer and pleasant, even a pleasure to be around him. But my husband and I know so little about marijuana that we are fearful that it may be harmful in the long run. My name is Jason Bloom and I am currently working on my M.A/Ph.D in Child Clinical Psychology at the University of Windsor. My focus is on fathers of children with Autism, and I am working on my Master's Thesis under the supervision of Dr. Marcia Gragg, the Clinical Director of the Summit Centre. I would like to ask for you help. I would like to ask if you, and the My Aspergers Child Community, would help me with my recruitment for my Master's Thesis. Fathers (including biological, step-, adoptive, foster-, grand-, etc.) that are raising a son aged 4-11 with Autism Spectrum Disorder are eligible to participate. They will be given a link to an online survey asking them about their parenting experiences and play behaviours. The survey will take 20-35 minutes. To thank them for completing the survey, they will be offered a $5 electronic gift card for Amazon. This study is for my Master’s Thesis, “Fathers’ physical play with their children with Autism: Benefits for fathers”. Dr. Marcia Gragg, Ph. D., C. Psych. is supervising my study. I have received clearance from the Research Ethics Board at the University of Windsor for this study. Fathers will also have the option to participate in a 20-minute phone interview. These fathers will be offered another $5 electronic gift card for Amazon for completing the interview. If you are willing to help, I will send you my Recruitment Flyer to send around. Please let me know. Great work in what you do!!! So far, with my 16- year-old daughter being full-blown non-verbal, autistic I'm searching for more detailed interventions. Since she doesn't speak, she does not take the car keys and drive, most of your technique don't seem to work for extreme cases of autism. I haven't quit though. We're on day two without favorite things. She is very high strung (and just broke something over the intertwine n't center)! Gotta go! I have been reading alot on the internet about autism, and have concluded that I am an undiagnosed adult. High functioning. Although I was very bright and in the top maths, english classes etc and did well in my school exams with good grades. saying that they dont like working when i`m on shift. I am in the UK and was wondering whether you could offer any advice on this. I seem to get into the same situations again and again, and could never understand why I felt so isolated and an outsider. No matter what I did, I was always bullied or teased. Over the years I tried to build up a resistance and accept myself, but I just can`t seem to fit in. I drew up a list of traits which I identify with below, and I really believe I am on the spectrum. In 2006/7 I went to my GP and explained that I felt I might have autism, he told me that if I did I would not have been able to take my school exams. Looking back I think the Dr did not have the level of knowledge on autism and was thinking only about the more obvious autism features. Im quite distressed at the moment and I just want other people to understand my behaviour, namely my difficulty with social interactions. Prefers structured over non-structured activities. Sits apart from others, avoids situations where involvement with others is expected (playgrounds, birthday parties, being outside in general), and selects activities that are best completed alone (e.g., books, viewing TV/videos, keeping lists). Socially and emotionally inappropriate behaviours. This is a direct result of not understanding the rules of social interactions. If you don’t understand what someone is saying or doing, you will be unable to give the appropriate response. Is unaware of unspoken or “hidden” rules — may “tell” on peers, breaking the “code of silence” that exists. He will then be unaware why others are angry with him. Difficulty maintaining friendships. Difficulty understanding group interactions. • Difficulty understanding jokes, figures of speech or sarcasm. • Does not generally share observations or experiences with others. • Finds it easier to socialize with people that are older or younger, rather than peers of their own age. 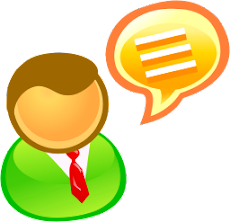 • Gives spontaneous comments which seem to have no connection to the current conversation. • Makes honest, but inappropriate observations. • Minimal acknowledgement of others. • Overly trusting or unable to read the motives behinds peoples’ actions. • Responds to social interactions, but does not initiate them. • Unaware of/disinterested in what is going on around them. • Perfectionism in certain areas. • May have a very high vocabulary. • Often uses short, incomplete sentences. Though they want to be accepted by their friends, Aspergers children tend to be very hurt and frustrated by their lack of social competency. Their inability to “connect" to others is made worse by the negative feedback that Aspergers children receive from their painful social interactions (e.g., bullying, teasing, rejection, etc.). The worse they perform socially, the more negative feedback they get from peers, so the worse they feel and perform. Due to this consistent negative social feedback, many Aspergers children and teens feel depressed, anxious and angry, which just compounds their social difficulties by further paralyzing them in social situations. effect drilling their peers and making them feel uncomfortable. Their difficulties reading social cues cause them to irritate peers. Difficulties in reading social cues range from (a) trouble understanding the zones of personal space, causing them to stand too close to others, to (b) a lack of basic conversation skills. They may not understand social banter, and so they become easy targets for bullying. Unfortunately many aspergers have never been taught such interpersonal skills such as "small talk" in social settings, the importance of good eye contact during a conversation, knowing when to speak – and when to listen, etc. many of these children have not learned to "read" the many subtle cues contained in social interactions (e.g., how to tell when someone wants to change the topic of conversation or shift to another activity). Girls on the spectrum provide stories of being singled-out or picked on mercilessly due to their odd behaviors or just not fitting in and are "literally disabled when it came to surviving the more sophisticated social complex of teenage female society," (Donvan, 2008, p. 2). Some people with high functioning autism or Asperger's Syndrome demonstrate extreme abilities in remembering facts, numbers, phone numbers, maps, words, birth dates, or other factual information, (Mayes, 2008, p. 2). They may appear very rigid in their point of view, and unable to accept or understand another's perspective. They may appear to never be able to "let it go," or tend towards appearing argumentative or "splitting hairs." Children with high functioning autism or Asperger's Syndrome are "limited in brain areas that enable people to understand subtle cues," (Hoover, 2006, p. 1), and often misunderstandings, literal interpretation, and/or sensory over stimulation can lead to overreactions, irritability, a low frustration tolerance, tantrums, aggressiveness, appearing to have an explosive (or bipolar) temperament, self-stimulation, anxiety, depression, or self-injury (Mayes, 2008, p. 2). Children with high functioning autism or Asperger's Syndrome develop a tendency of distrust towards others, because of social failures and negative social experiences over time, which can lead to self-isolation and social phobia. This behavioural reaction can be viewed as "rude" by others, and often people on the spectrum struggle to understand why they are not liked or frequently feel rejected (Hoover, 2006, p. 1). I have recently subscribed to your newsletters. I wonder whether you could give me any advice regarding my (soon to be) 15 year old son? I am very happy to buy your course too. My son has grown up in a privileged home, wanting for nothing and given too much. We lived in Hong Kong for 12 years (where he was born) and came back to the UK 3 years ago. He was always a really happy, bright, sociable, well liked child (he could ready 200 words by the time he was 2). Having said that, I am not a pushy Mother although I do have high aspirations for him and want him to do the best he can. He is at a private school in the UK. George was a competitive swimmer in Hong Kong but then had a rotator cuff tendinitis shoulder problem which meant he gave it up. He has piled on the weight and is now 14 stone. At school he plays tennis and we have just signed up a personal trainer for him and he has had 4 sessions so far. Our problem is that he either won't go to school at all or he is always late (break time or lunch time). He won't get up in the mornings and won't/can't sleep at night. We have taken away all his electronic devices but it doesn't seem to make a difference. The school, although supportive, are putting more pressure on us and even suggesting Social services intervention. I am not working but my husband has a high pressured job in London so he stays away all week (often travelling abroad for a week or two as well). I feel I have tried everything with George and to be honest, I cannot relate to his attitude; both my husband and I were so conscientious at school. He seems to throw in excuses when he can. He was 'ill' with headaches and feeling sick for a long time but blood tests showed nothing medically wrong. He was then 'bullied' by a couple of boys calling him fat (which was sorted). Now he is claiming nobody believes in him and he has lost belief in himself. My husband thinks I am too soft on him but I cannot physically drag him out of bed. Is it possible he is just lazy and not engaged in school life or is there something else going on? I have booked to take him to a sleep clinic at Papworth hospital next week and have been keeping a sleep diary for him. I wonder whether we need to see a Psychologist or other professional? I'm hoping you can help me find resources for my situation. I'll try and make this as simple as possible since it is a bit complicated. I have been dating George for two years and he has a 22 yo son with Aspergers. Until 2.5 years ago, George was married for 25 years and, regrettably, he and his ex-wife didn't do any early or later intervention with Parker. George is now Parker's primary parent as his ex-wife left the marriage and has purposefully not had any contact with the kids. When I first met George he told me that Parker was diagnosed at age 8 with high functioning Aspergers. Once I met Parker and have now spent time around him it is clear that this is not the case. In addition, it is abundantly clear that Parker has co-morbidity issues, including OCD and elevated anxiety. I am extremely proactive when it comes to life whereas George admits that he is reactive. Parker still lives at home, which is fine by me, but he works a part-time job and goes fishing the rest of the day. He doesn't pay for his food, phone, car insurance or household goods. He can't make dinner without ruining or breaking something. He can't be left alone overnight because he has an obsession with fire and George is afraid he'll burn down the house. He has become more and more belligerent when my daughter and I are there and curses at George. For the first time in my life I've met a man who I can actually see spending the rest of my life with but the situation has become untenable and George doesn't have a plan for Parker. I need help. Are there any support groups or books that I can join/read to help me be a good partner to George and yet not compromise my and my daughter's lives? I am interested in getting counseling for an adult with asperger's and may be able to get social services to pay for these services if I can prove she needs them and they will be effective. The Mother is struggling to keep her parental rights and I would like to be able to report to this court and to the FAPT team (funding mechanism) how your counseling is different from "non-aspergers" counseling such that it will meet the parents needs. 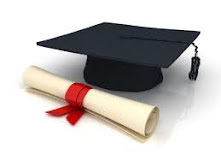 More specifically she has received multiple parenting classes regarding autistic children and received intensive in home training but was never able to apply those things that she has learned. Do you use a different method of teaching and if so what is that? Do you teach skills that she has not been offered? What might you do that would specifically address her limitations in learning and/or applying the information so that this mother can accurately assess and meet the needs of her children? Our son is 18 years old, graduating from our homeschool high school, and about ready to complete his 2nd year at the local Community College. He has failed 2 classes (1 Health/PE and 1 Music Theory) and it's a constant struggle to encourage him to do his homework. This last year, we hired a retired school teacher to be his 'school coach' to take the pressure off our relationship with him. He did well grade-wise last term, but is struggling again this term. And in actuality, we're the ones struggling. He seems unaffected. No matter the amount of encouragement, helping, or discussion seems to make any difference. He does not like to be asked, "So, how's the school work coming today? ", and as matter of fact, he resents it and says it makes him not want to do any. We are struggling with what our role is now. Do we keep him accountable? Because he is in a high school early college program, and they only allow so many failing grades before they stop paying, he is now on probation. And it's looking like he may not pass a class this term. So, where we are now, is he doesn't have a Plan B if the program drops him. He thinks maybe he would like to take a year off and audition for professional theater productions. He's already had lots of opportunities to do this, and he's missed most of the audition deadlines and doesn't seem motivated to make that happen. We're now trying to figure out how to help plan how to do that, and what that would look like for our home living situation. He just started an 18hr/week job working at a Pet Spa (he cleans kennels and walks dogs). Our other question is related to how long do we hold his hand on things? For example, after weeks of asking when he was going to drop off his filled out job applications, he admitted he was afraid he'd have to talk to someone. So, after coaching him on exactly what he would need to say and showing him how simple it would be, it wasn't until I offered to go in the car with him to the actual places of business, that he agreed to turn them in. At what point, can we say, "Nope. You have to do this on your own, buddy." We want to be sensitive to the fact that some things are just difficult right now, and we don't want to kick him out on his own when he's not ready, but we also don't want to hinder his growth. And as you probably already have guessed, he doesn't like it when we ask him what his plans are. He shuts down all communication with us when he feels we are pressuring him to take care of something he doesn't want to do. We need to create a bond but my 14 year old son doesn't talk to me and all he says is "shut up" and "leave" so I don't even have a chance to say "I love you", or "I realized I made some parenting mistakes....", or ask about his day at school. My husband is doing it but he doesn’t have time to read the material as much as I do and he's a bit frustrated because it seems I have been doing nothing (passive parenting) and he is being told what to do and how to use assertive approach. Also, my husband thinks nothing is going to change and we shouldn't try any new strategies until I connect with my son again. I agree but feel hopeless as I have no idea what to do so he would start talking to me. He is at the point when he doesn’t do anything he's been thought by us. He is refusing to eat food we provide, so he is using his money he got for b-day and Christmas to by his own food. So he's been eating MR. Noodles for two weeks now (nothing else). My son is 9 yrs old, he has high functioning autism, ODD & ADHD - Combined & has started puberty. Which would be a better for him? He was misdiagnosed until he was 8.5 yrs old... it has been a rough year as much that has been tried & recommended by the therapists has NOT worked. Until I called the police, he would hit me. I do NOT know what to do, I am failing as a parent. Right now is a prime example, he is demanding to know who I am email because he HAS to know who I am email regarding his information to.... stomping around, throwing things, screaming because the simple answer I gave him wasn't good enough!! I am a single parent & raising his older brother did NOTHING to prepare me for this!!!!! I am concerned for my son's safety, his future, etc. I am considering purchasing the online counseling for my 25-year-old son. I believe he has Aspergers Syndrome. He's never been diagnosed. I've taken him to our doctor, who referred me to a neurologist. They both (doctor and neurologist) said he was fine, just lazy and maybe a little depressed. The neurologist's advice was to kick him out. He has poor hygiene, no motivation, plays video games or watches t.v. all day. He usually watches the same things and can quote most any superhero or comedy. He steers away from social situations and mostly talks about movies and his favorite comedians. He feels most comfortable with people younger, has never had a girlfriend that I know of and no real friends. I buy him clothes and shoes, but he keeps wearing the same old things. He wears clothes that are from high school, which many are falling apart, you can almost see through them because they are so worn. When I ask him to throw them out, he says to me, "it's your opinion if you don't like them, I do." His brothers (he has two older) refused to be seen with him until he put on clothes that were not so worn. He was mad, but finally did it. I have to constantly remind him to brush his teeth and take a shower. He says he does, but sometimes he smells like a homeless person. He lies too, I'm never sure when to believe him. He lies to make me think he did something during the day, when it's obvious he didn't. He's taken college classes, but failed most of them. He keeps telling me he's not smart. I think he's incredibly intelligent, all you have to do is talk to him; he can talk about almost any subject, but prefers to talk about movies. He eats the same thing over and over again, green apples, Peanut butter & jelly sandwiches, hamburgers, bananas, fruit punch and cheerios. He doesn't like to go out with the family much, he doesn't like many restaurants. He also refuses to learn to drive. He say he doesn't trust himself and what if he accidentally hurt someone. I've taken him out several times to practice driving, but he looks so scared and anxious. I've offered to pay for a driving school, but he says don't waste your money. I started researching Asperger Syndrome and High Functioning Autism, first because a few people have asked me if he was autistic and my son has told me himself, why do people think I'm autistic? Also, because I have a nephew (21 years old) who has Asperger's, he was diagnosed about 5 years ago. The two cousins are kind of alike, very quirky. Right now my son is not working. He recently took a bartending class and is looking for a job as a bartender. I thought it would be good for him, mostly for the social aspect. He's had about 3 jobs in the last 4 years, all lasting not more than a month. He says people just don't like him. He does light housekeeping around the house, feeds the dogs, rakes up the yard and whatever else I need done. I like to make sure he's not just lying around in his room all day and watching t.v. or playing games. One more thing, he smokes marijuana. I don't know how much. He says not much. I won't give him money for it, he collects bottles and recyclables and makes money that way. I always tell him, if you had the motivation to get a job as you do to collect bottles for pot, you'd be working." When he was younger, up to about 2 years ago, he would steal things from me to pay for his marijuana. As far as I know, he hasn't taken anything, but I always wonder? When he was in high school, I had him tested, but they said he was just a slow processor and he was given more time for tests and homework. I've been on your website a lot this week, I'm getting desperate and need to know what I can do to help him. Do you think my son has AS or HFA...or is he just a pothead? How can I find out or have him diagnosed? Again, great work here. There certainly is a lot of information on parenting. And I love how you include our Higher Power as a must have for success. My daughter is diagnosed (at two-years-old) autistic, non-verbal, (now) ADD, ODD. Nevertheless, she is passing through extreme, not necessarily "out-of-control" behaviors lately. Her father passed away last June and she is finally in my windows of opportunities. Moreover, these current behaviors may be her expressions to deal with the change. Your e-book is fantastic and on target. My daughter will need round-the-clock care her whole life. She will never drive or engage in gainful employment. It's fantastic these kids can reach goals that allow them to intertwine our communities. We have a lot of work to do with the challenges within the autism spectrum that seems like repitition until it finally click for them; and I see you as one making a huge contribution, in detail, not only to these kids parents, and families, but you are shaping the generations ahead to make a difference in our world. Thank you again Mark for doing such detailed scaffolding! You are indeed blessed and equipped! I thank God for the opportunity to cross paths. My son is 27, lives in a townhouse we bought and plays video games. My husband and I retired to Florida, but take turns coming back to Minneapolis to visit my son, get him back taking his pills for depression and ADD, and clean the townhouse. He has never been on a date. (He refuses to move to Florida with us). When he was young and I was searching for the source of his difficulties, Asbergers was depicted as including a savant ability- eg Rain Man- and so I discounted that possibility. Now here I am, 27 years later, and realizing yes, that is it. I'm 65. I'm tired. You cannot imagine all the appointments, efforts, expenses, and heartbreak we have gone through. I've ordered your book, but I find myself wishing you had a live-in program my son could attend to learn skills of independence. Even someone locally he could see in therapy who understands and could guide Alex would be of benefit. Thank you, and bless your pea-picking heart for your work. I just came across your website. I wanted to share a bit of my son's story and see if you think your book would help. He is a 7 year old boy in 1st grade. He has always been strong-willed and struggled with transitions. He had a good kindergarten year but 1st grade has been awful. It started in PE. He refused to the the PE warm up which consisted of yoga and stretching. They didn't let me know for 9 weeks. By the time they called me, they were frustrated and his behavior had escalated. After this, I tried positive behavior charts and eventually consequences. His behavior grew worse. He started having issues in class as well. He would have these days where he would get so upset and stay in a non-rational state for hours. He was then diagnosed with SPD in February of 2015. I also had a nutri-eval blood and urine test done and he was deficient in many critical vitamins and minerals and amino acids. After a psychological evaluation, he stated that based on ink blot findings, my son had a genetic nuero chemical imbalance and will need to be on medicine his whole life. He said he gets emotionally flooded and will not be able to control it without meds. He diagnosed him with major depressive disorder. He also has social anxiety. He is a perfectionist who shuts down or runs away when faced with challenges. He is gifted and has an IQ of 130 and I'm told possible higher. After a recent genetic test, he has issues with his MAO gene and COMT gene which of course relate to neurotransmitters. He does great at home now but has trouble in school and in certain social situations in which he is supposed to participate. He is quick to get frustrated. He can get upset and angry and kick at chairs or desks. He is nice to his friends and likes his teachers, but does not follow the rules when upset. So I guess I'm asking if your book will provide strategies to help my son. He is not diagnosed with Asperger's but he shows some tendencies. Your article "Is it Asperger's or Narcissism or Both?" was extremely well written. In the MAAP office, it struck some chords! 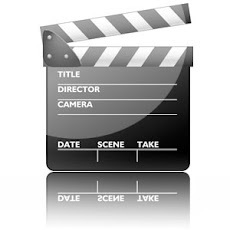 We would like to be able to use this for both our next newsletter as well as our Newsreel on the remake our website. With the quality of your articles I've read thus far, we may like to ask you to use them once in a while. You, like others we use will be given full Author credit with reference to any book(s) you have written. I have included a .pdf of our last newsletter to show you what this looks like, and show you our authors, and the credit they receive. My case...my first boyfriend (we were 15 years old...now we are 60) contacted me back after so many years...he wasn't looking for friendship but to get together in a relationship...I love him and supposedly he is in love with me...(now that I have narrowed down that he might be an ASPIE I'm kind of lost about him being in love with me...he states that he has always loved me)...it's been several months communicating via mails (we live in different countries) and not only noticed so many of the symptoms described but had to deal and cope with them without understanding or figuring out what was going on...that is how I ended up finding your website, etc...going to meet him for the 1st time next June 1st (he says that what he wants the most is to be with me, and is asking me to move back where he is living now)...and I'm truly worried. I was hoping that finally being face to face, touch, looking into the eyes, holding hands, etc. would be a plus and strengthen the strong bond that we have (or apparently we do have? ), and in communicating better. Still have to go through the sexual face...he has been very obsessive about it via e-mail...but with lots of mixed signals as well, to the point that he seemed to want and be passionate about it, but on the other hand he would say or express things that made me wonder if he is impotent or what's going on. Well, now lots of questions and the brainstorming I was going through due to his feedback and reactions, etc. giving me such a hard time understanding, making sense of it, are making sense and starting to fall into place. Hope that I can do the best possible for the relationship and for him in this journey of love (true love for sure at least on my side). I would like to ask you about allergies in children with Asperger's. 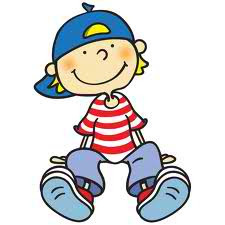 My grandson, age 7, is a high functioning child with Asperger's and was doing well for years. Suddenly he had a seizure and was hospitalized with all the necessary tests including MRI. Brain wave, etc. but nothing was found. One year later he had two seizures and was hospitalized, tested, etc. Nothing was found. Then, 2 months later he has another mild seizure. For the past two years he has had severe allergy problems airborne, with stuffy and runny nose. We are talking with his pediatrician and neurologist about allergy testing. We don't know if the allergy has any affect on his seizures. We have given him L-Carnosine formulated for kids and hope that since his last seizure was very mild, possibly that helped. I wish you would share the dark side of Aspergers . I had so much hope and worked so hard through my thirties and forties and advocated and pursued therapies etc. the reality is my son will never function on his own despite being intelligent. In my 50s this has hit me like a brick wall. Why didn't anyone warn me despite your best efforts things may not work out? My sadness at accepting this now is certainly not useful to my son. Please don't tell me I didn't try enough. Brushing therapy, sensory integration, social stories, mainstreaming, removing from the mainstream. The sad thing is he might appear normal for 10 or 15 minutes. He's one the adult programs won't help. Please warn people, the picture isn't always rosy. It's sad and I do what I can, there's nothing more for him as a societal support. My husband and I fear death because we don't want to leave him on his own. I am an avid reader of your site. My 27 year old daughter was diagnosed with Asperger's about a year and a half ago. She had had a lot of ups and downs, particularly with college and being able to hold down a job. But, she finished a two-year graphic design program and has held a full-time job for a year. Huge accomplishments! However, yesterday she was written up for being late to work too often. Being on time has always been a huge issue for her. She has made great strides in that she sets her alarm and gets herself up and to work, but she is consistently 5-15 minutes late. She is very fearful of not being able to meet the requirement (after this write-up) to be 100% on time for one month the have the write-up removed from her record. She is smart and has been through ample therapy, plans, etc., and knows that the lateness is a brain issue for her in not having that sense of urgency or feeling stuck many times. It is not a lack of awareness of what is required to be on time (i.e., go to bed earlier, get up earlier, have clothes ready, etc.). I know that from her parents, it is very hard to hear advice/suggestions, especially since she has basically "heard it all before." I am wondering if you feel you could help her work through this challenge via phone support? Our son Nick is going to begin Summer practice sessions for basketball at the local high school. He is an incoming Freshman and practice begins tonight 7-9:00 p.m.
Then starting next week he has practice 1-3:45,. This is weight training, skills training and open court practice. This is the first time our son has participated in organized sports, but he has attended many skills camps over the past 5 Summers. Have you heard of young men with Asperger’s becoming successful athletes? He loves the game, but primarily loves to shoot…..
1. The Aspergerian (i.e., person with Asperger’s) wants a good and happy life – not just for himself, but for everyone. He would rather “fit-in” with his peer-group (or simply be left alone) rather than be the “boss” or the “leader” – even if he is the brightest student in the class. The Narcissist (i.e., person with NPD), however, wants a good and happy life only for himself (or the individuals he includes in his inner circle). He wants to be in control and doesn't care who he has to hurt to get control. He will do anything he can to be in charge of the people around them (without being noticed as a “control freak”). 2. The Aspergerian typically pays little attention to the body language of others – and would have great difficulty reading it even if he tried. The Narcissist pays close attention to others’ body language – looking for signs that they may be weak or vulnerable – and then seizes the opportunity to exploit them for his own gains. 3. 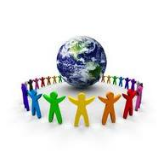 The Aspergerian typically does not have any hidden agenda toward others. But, the Narcissist lives and breathes hidden agenda, as any good con man would. 4. The Aspergerian simply wants to be treated with normal consideration and respect, but he often receives much less respect than he deserves due to his social skills deficits, quirkiness, and lack of desire to appear “cool” in the eyes of others. On the contrary, the Narcissist typically receives way more respect than he deserves since he is great at presenting himself as the smartest, coolest person on the block. He discards and devalues others in order to make himself look better. 5. The individual with Asperger’s often appears selfish, uncaring and insensitive due to the fact that he tends to live in his “own little world,” often minding his own business to a fault. The individual with NPD often appears selfish, uncaring and insensitive BECAUSE HE IS. 6. The Aspergerian is unlikely to obey the hidden rules of conversation (e.g., unable to read or exhibit non-verbal language, may ramble on about a special interest even when the listener has stopped paying attention, may not allow others to speak in turn, interrupts the speaker on a whim, etc.). On the other hand, the Narcissist pays very close attention to the rules of conversation and is highly verbal, using language as a manipulative tool to get his ego fed. 7. The Aspergerian wants marriage, children, friends and social acceptance, but is fairly clueless about how to go about procuring these things. As a result, he may develop a fear of rejection – and even choose a solitary lifestyle. Conversely, the Narcissist has the ability to switch between social responsiveness and social disengagement. He is not interested in relationships with certain people, because he views them as unworthy or inferior. However, if he can take advantage of someone for his own gains, he will easily and immediately regain his social skills and charm. 8. Asperger’s individuals don’t exploit Narcissists. However, Narcissists do exploit people with Asperger’s. 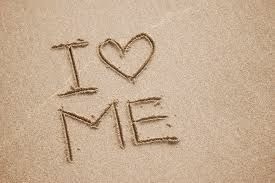 In fact, the Aspergerian is often the Narcissist favorite target! 9. The Aspergerian experiences developmental delays, whereas the Narcissist experiences personality flaws. 10. The Aspergerian is rather naïve and innocent, while the Narcissist is rather cunning and guilty. 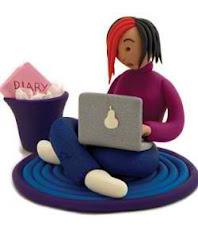 Analogically, the individual with Asperger’s is focused on his widget of interest, how it is made, what else it can be used for, comparing and contrasting similar widgets, how to make a better widget, how the widget can be used to help others – and wants to tell others ALL about his widget. The Narcissist, on the other hand, is focused on getting viewed by others as a “widget-creator” (whether he is or not), getting credit for building the best widget and being THE expert in widget creation, and how the widget can be used to make a lot of money and further his own agenda. In a nutshell, the Narcissist is a person who is excessively preoccupied with power, prestige and vanity – and is unable to see the destructive damage he causes as he steps over and on people to reach his selfish goals. He has exaggerated feelings of self-importance, a strong need for admiration, a huge sense of entitlement, and demonstrates grandiosity in his behavior and beliefs. 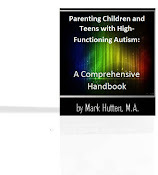 Those of us who have been around individuals on the autism spectrum for any length of time know that these traits seem almost polar opposites compared to those associated with Asperger’s and High Functioning Autism.